Hello My Love ...: Melkam Addis Amet! 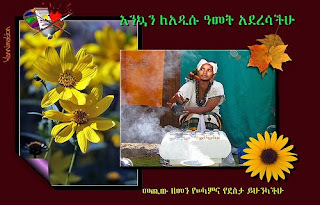 Happy New Year Ethiopia! I'm sure the people are celebrating and rejoicing to have made it another year. may God bless your land and people. Amen!